Come monsoons and it’s time to discuss where to head next to beat the bustling crowd of the city. 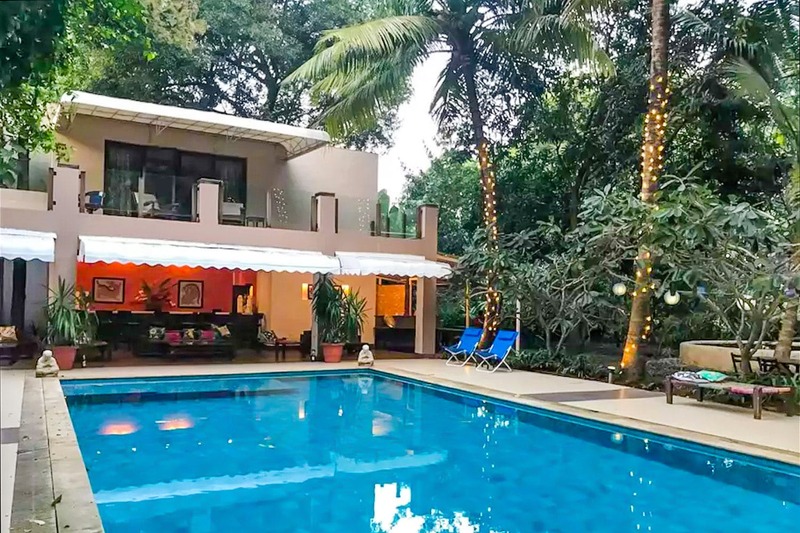 A private time with bae sounds like a wonderful idea, and to help realise this dream is this beach house room just two minutes away from Kihim beach in Alibaug. Getting to Alibaug is pretty easy; just hop into a ferry from the Gateway of India, and after an hour and a half, get off at Mandwa jetty. You can then either opt for local transport or take an auto to your destination. Please note that since this is an Airbnb property, the exact address is only available once your booking is confirmed. While it imbibes the Mediterranean style of architecture, the resort will remind you of a tropical holiday getaway. The room has access to the swimming pool and the best bit? It’s just a two-minute walk away from the beach. Apart from it being the perfect stay with bae, you can walk around the sleepy hamlets in the area, catch the sunset on the beach, enjoy some local cuisine and forget about the bustling metropolis for some time. You can either opt for room service or head out and explore the local cuisine. The room is meant for two people and will cost you INR 5,000 per night. To book, click here. While it’s not a pet-friendly vacation, in case your furry buddy or pets want a mini holiday of their own, you can check out these boarding options.